TSA Pre✓® sign up available at 49ers Home Games! 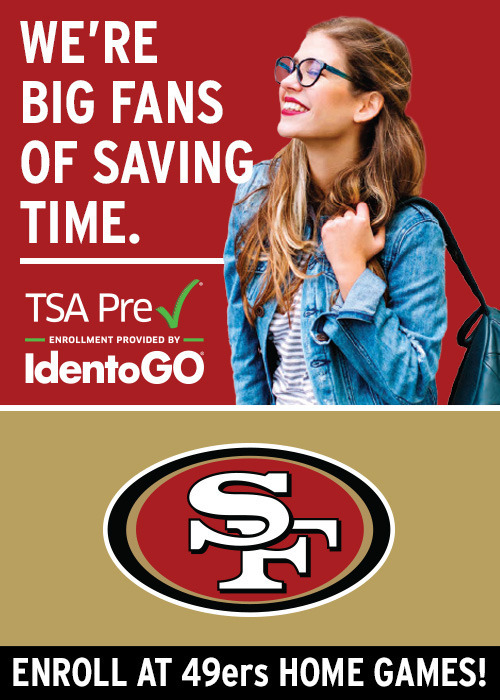 IdentoGO will be signing up football fans for the TSA Pre✓® program at San Francisco 49ers Football home games! Look for us located inside the Faithful Mile at Levi's® Stadium (you must have tickets for the game to access). Appointments or walk-ins welcome before kickoff. Click "Start Application Now" to pre-enroll.